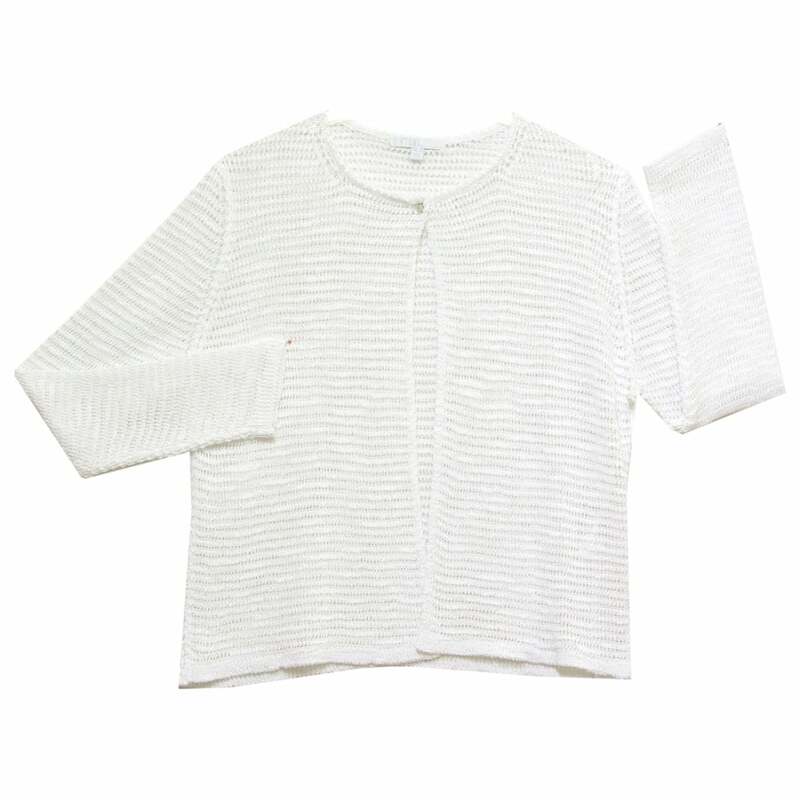 Diktons White Net Knit Cardigan 2180. Cardigan, long sleeves, round neck, single button closure at the neck, in a cotton blend net knit. 42 percent cotton 15 percent viscose 12 percent acrylic 6 percent other fibers.